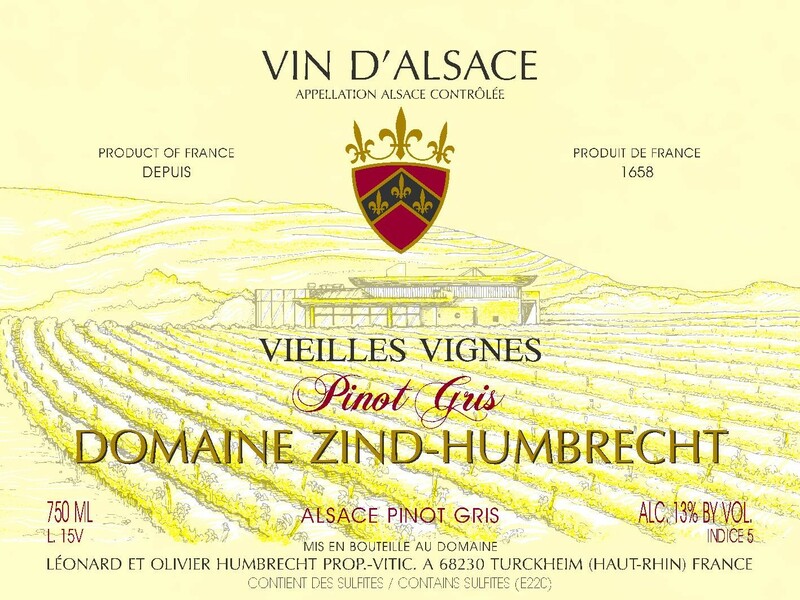 Pinot Gris as a grape variety can mutate very easily. It is, perhaps, with Pinot Noir, the grape variety that was the most transformed in time to obtain plants that are more vigorous, fertile and high yielding. Unfortunately! This is why we keep these old vines, like a treasure, to source our massal selections of Pinot Gris plants that only have small clusters and one cluster per shoots. These very old vines were planted by Emile Zind (my grandfather) in two different vineyards neighbouring the Herrenweg and enjoy similar growing conditions (gravelly soils and precocious climate). We usually do not allow this type of vineyard to go too far in the development of noble rot, except for a few older vines, because when it happens, it makes delicious, well balanced wines like this 2008 vintage. Botrytis was important and the wine fermented like a late harvest. 3/2010: huge ripe fruit, quince jelly, apricot nose, playing with some more honeyed and waxy aromas. This wine shows so much ripe Pinot Gris character. The palate is very unctuous, round and has a sweetness level comparable to a VT. It actually is a very similar wine to the 2007. The finish is luscious with good acidity and big fruity flavours (quince jelly, marmalade). It already shows a lot of its potential, but has the stamina to age also very well.